Facebook users have been quite vocal about the social network’s recent privacy issues, but Google engineer Brian Kennish has come up with a solution that will keep your web browsing information from Facebook without forcing you to delete your Facebook account. One of Facebook’s most popular features is called “Facebook Connect.” Basically, the feature allows you to post content directly to your Facebook page while you browse the internet. When you read an article online and click the Facebook ‘like’ button to share it with your friends, you are using Facebook Connect. Privacy, however, is the thorn in Facebook Connect’s side. While the feature allows us to connect with our friends while we browse the internet alone in our homes, it also tracks every time we visit one of the million websites connected to Facebook. That tracking information is then relayed to third-party companies and advertisers who use that information to present you with personalized advertisements. Brian Kennish, an engineer with Google, had enough of this. According to the Huffington Post, he wanted to stop Facebook from tracking his every move online, but didn’t want to sacrifice his own Facebook account. In light of this, “Facebook Disconnect” was born. 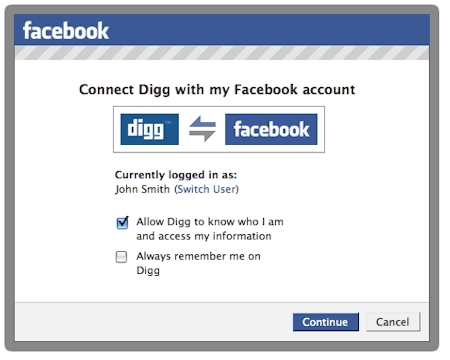 Facebook Disconnect is an extension for Google Chrome that will block the social network from tracking your visits to Facebook connected sites. You have to use the Google Chrome internet browser, but that is a small change to make in order to privatize your online activity from Facebook. The best part about Facebook Disconnect is that you don’t have to delete your Facebook account to use it. While many of us are frustrated with Facebook’s privacy issues, I think most would continue to use the website either way. Facebook Disconnect, however, will hopefully give us the best of both worlds, as long as you don’t mind Google Chrome.